Edgartown Harbor has a lot going for it. There is a lot of history there and new events happening everyday. Everyday, someone is getting married on Memorial Wharf or having their photos taken on the beach. All classes of sailboats are gliding through from one end of the harbor to the other and The omnipresent Chappy Ferry glides across the water from Edgartown to Chappaquiddick seeming to keep the entire harbor on schedule. But if The Chappy Ferry is the production manager, The Edgartown Lighthouse is the CEO. 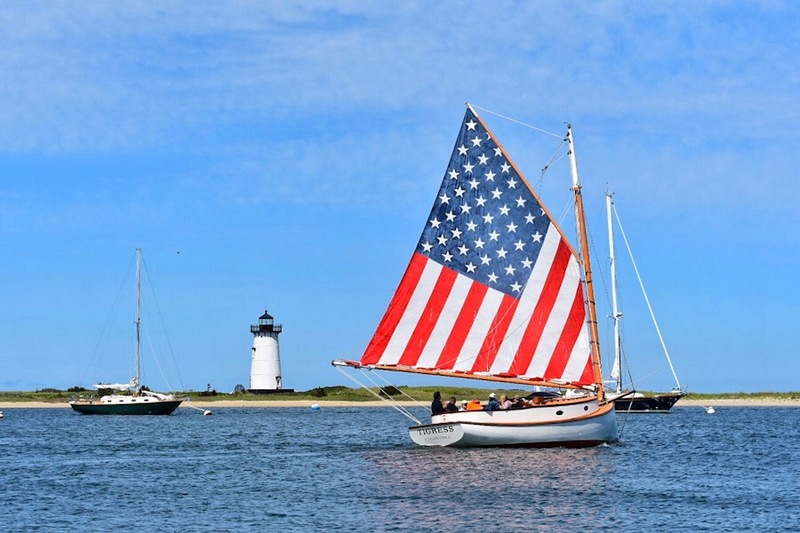 The Edgartown Light keeps a watchful eye. No matter what is going on in ‘Great Harbor‘, The Edgartown Lighthouse keeps a watchful eye and has been doing so for a very long time. 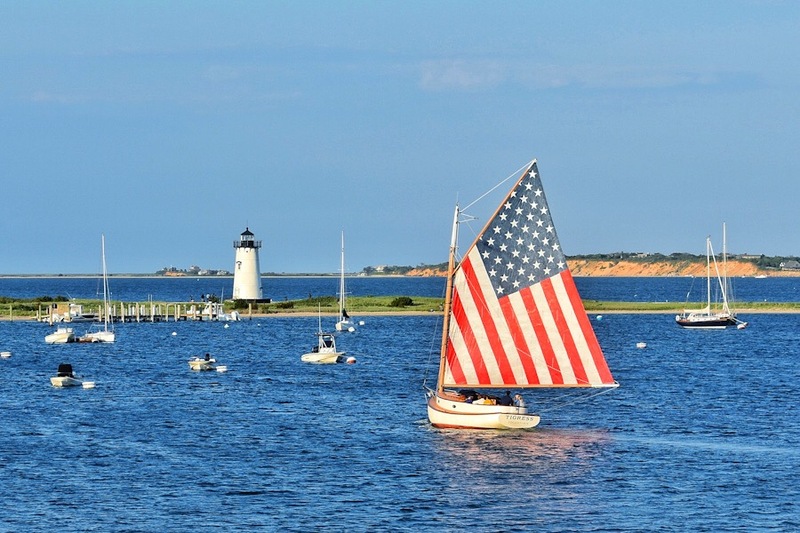 Even though Edgartown Harbor was always a very busy place, of the five lighthouses on Martha’s Vineyard, Edgartown Lighthouse was the fourth to be built. It lit its light for the first time on October 15th, 1828. The Cape Poge lighthouse was built some years before (1801) and served as the lighthouse marking the entrance to the harbor. The first lighthouse to be built in Edgartown was a two-storey home with a gabled roof and a lantern room centered on top. This building was built on what was called the Point Of Flats at the entrance to the harbor. It was not accessible by land like it is today. This meant that the first lighthouse keeper, Jeremiah Pease, had to row a short distance to get to the tower. Oil was delivered via a sloop to the lighthouse on a regular basis. Eventually, in 1830, a fifteen hundred foot wooden walkway was constructed attaching the light to Edgartown. In 1840, the wood pilings supporting the lighthouse were replaced by a stone pier. Even though the base on which it stood had been replaced with a significantly sturdier one, the lighthouse itself was drafty and leaky, and vulnerable to weather due to its extremely exposed position. Because of this, there was a much higher turnover in Lighthouse keepers in Edgartown than in other lighthouses. Some of the keepers refused to live in it altogether and acquired lodging on the nearby shores of Edgartown proper. The Edgartown Light during one of our sunset sails. The lighthouse saw a significant number of repairs over the years until the Great Hurricane of 1938 inflicted enough damage that it had to be torn down. A disused lighthouse was found in Ipswich, and was brought over by barge. The forty-five-foot cast iron tower remains in use today with a characteristic of a red light flashing every six seconds. 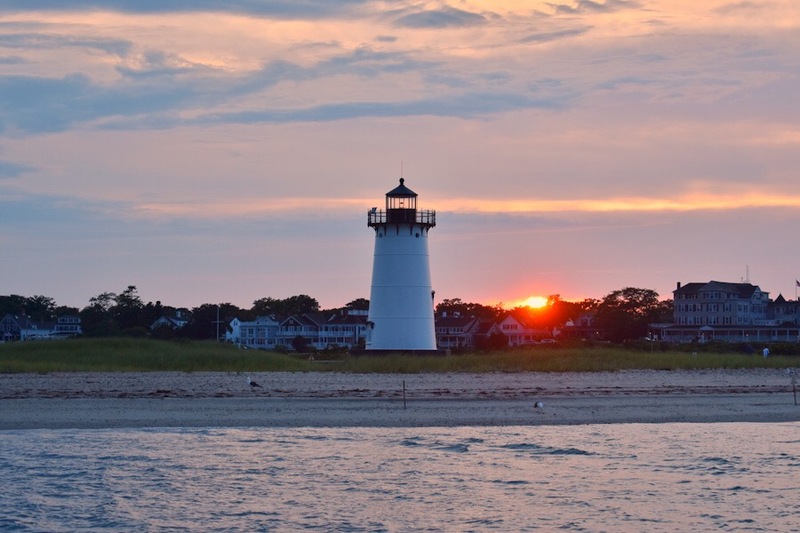 There is no question that the lighthouses of Martha’s Vineyard play a big part in the island’s romantic appeal. Whether we’re sailing the harbor during the day or during the evening, the lighthouse is always a topic of conversation and a focal point of our sails. 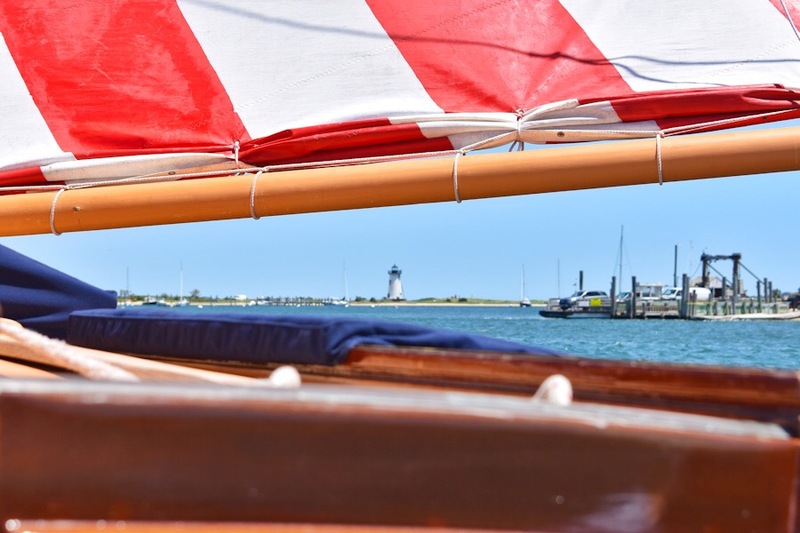 We don’t like to pull favorites here at Catboat charters but when it comes to the Edgartown Lighthouse, we might have to make an exception!